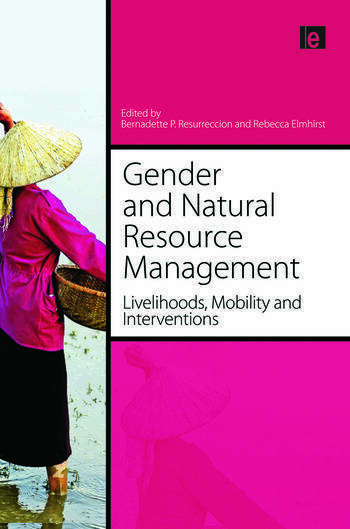 This book is about the gender dimensions of natural resource exploitation and management, with a focus on Asia. It explores the uneasy negotiations between theory, policy and practice that are often evident within the realm of gender, environment and natural resource management, especially where gender is understood as a political, negotiated and contested element of social relationships. It offers a critical feminist perspective on gender relations and natural resource management in the context of contemporary policy concerns: decentralized governance, the elimination of poverty and the 'mainstreaming' of gender. Through a combination of strong conceptual argument and empirical material from a variety of political economic and ecological contexts (including Cambodia, China, Indonesia, Malaysia, Nepal, Thailand and Vietnam), the book examines gender-environment linkages within shifting configurations of resource access and control. The book will serve as a core resource for students of gender studies and natural resource management, and as supplementary reading for a wide range of disciplines including geography, environmental studies, sociology and development. It also provides a stimulating collection of ideas for professionals looking to incorporate gender issues within their practice in sustainable development. Bernadette P. Resurrección is Senior Research Fellow of the Stockholm Environment Institute (SEI) and adjunct Associate Professor of Gender and Development Studies at the Asian Institute of Technology, Thailand. Rebecca Elmhirst is Principal Lecturer in Human Geography at the University of Brighton, UK.